Orlando alternative pop-rock outfit Raising Cadence have announced the release of their upcoming EP, Take Me Higher, on October 27th. The EP features an eclectic mix of five energetic indie-rock tracks crafted with intention to move the listener with emotion. Earlier this year they unveiled its title track which is is an uplifting, danceable pop-rock track and you can stream it below! Our debut EP 'Northbound' was written when we first became a band as we were developing our sound. This upcoming EP 'Take Me Higher' has been three years in the making. We have been writing non stop and hand picked our favorite songs together to make an eclectic mix of all our styles into one dynamic release. Raising Cadence is a five-piece alternative pop rock band from Orlando, Florida. After five years of being apart, longtime friends Miguel Larsen (lead vocals) and guitarists Andrew Rouleau and Samuel Oliveira re-joined forces in 2014 to create Raising Cadence before finding bassist Ron Cook in a music store on the way home from their first photo shoot. They later found drummer TJ Howard not long after. Immediately after forming, the band went into the studio to record their debut EP, Northbound which released on Spotify in January of 2015. 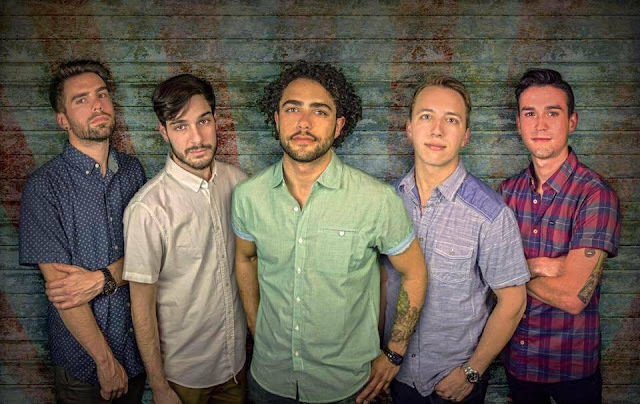 Raising Cadence has been compared to active rock bands like Dance Gavin Dance and other pop-influenced indie rock bands, but with a jazzy vibe. Raising Cadence doesn't just present fans with a unique sound, but also a high energy performance that matches their songs and manages to get any crowd moving on their feet.